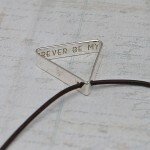 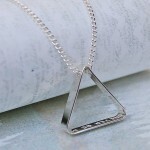 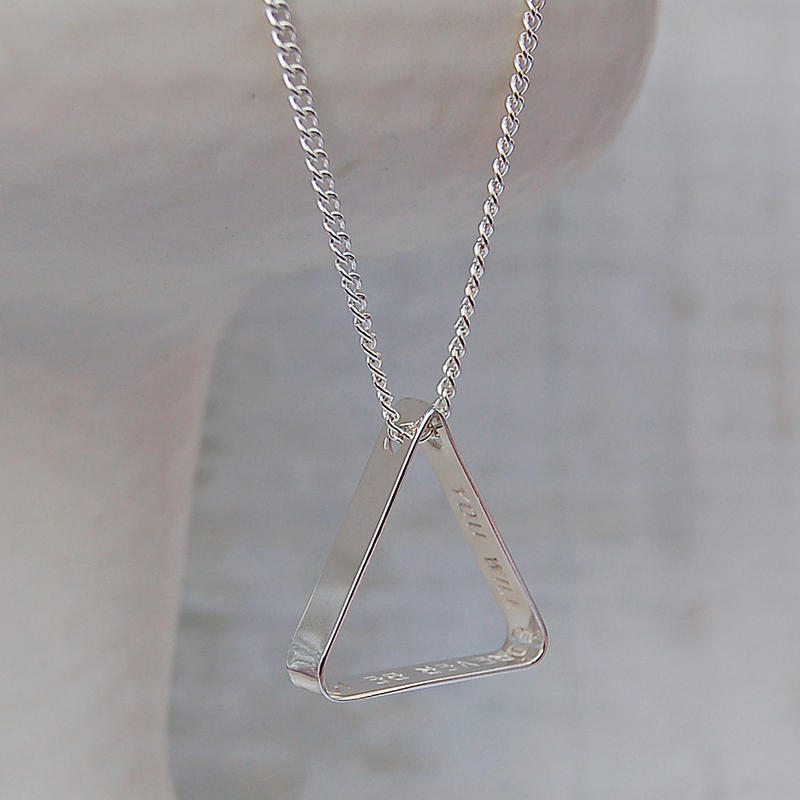 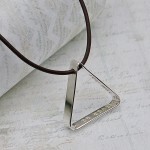 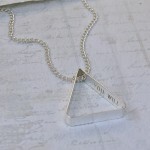 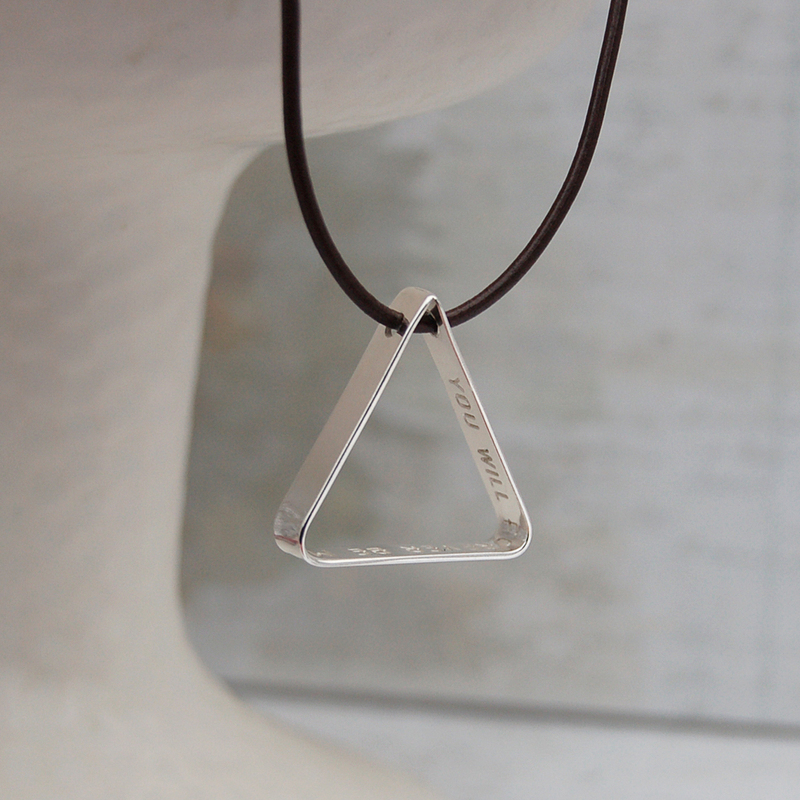 A secret message sterling silver triangle necklace especially for Men, so they can keep personal messages close. 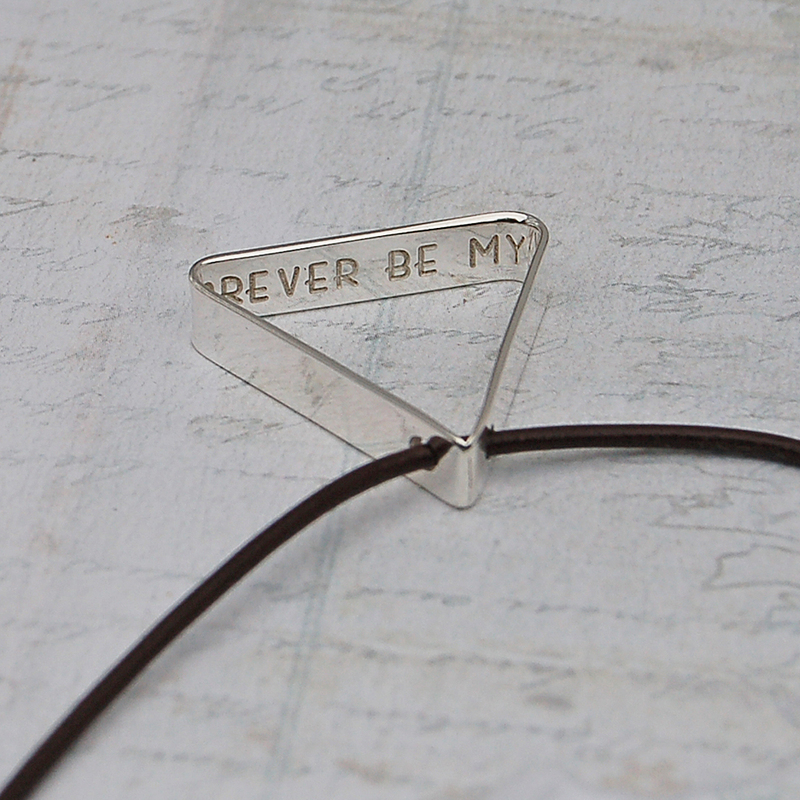 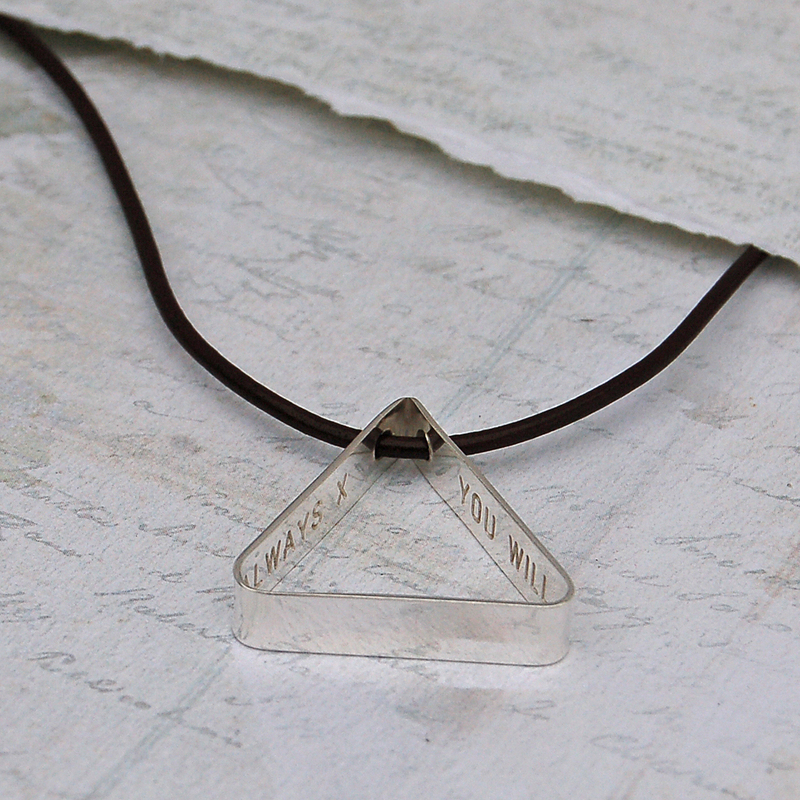 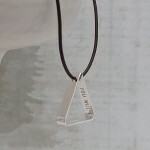 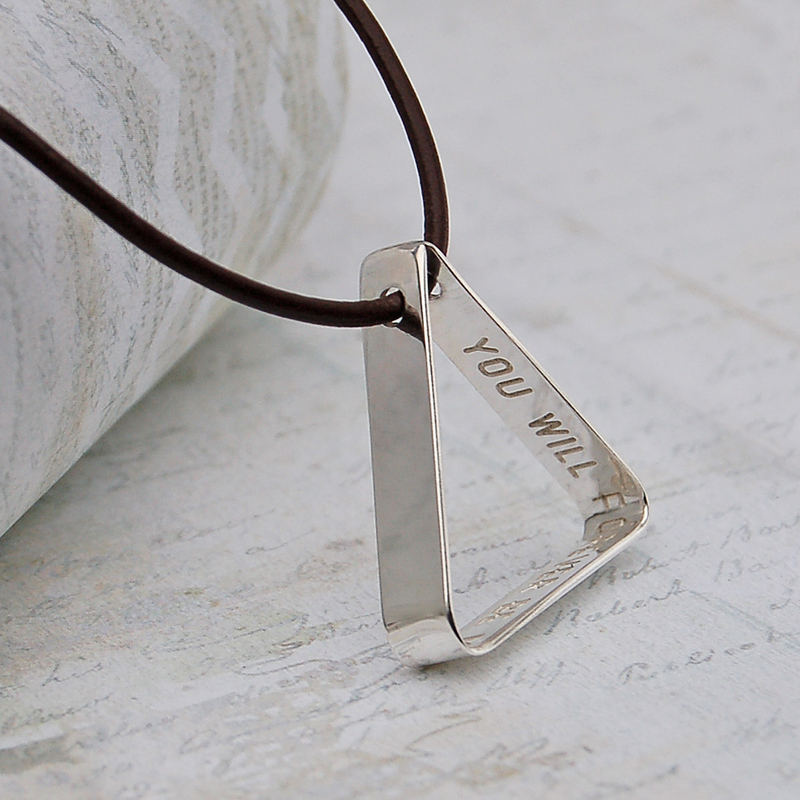 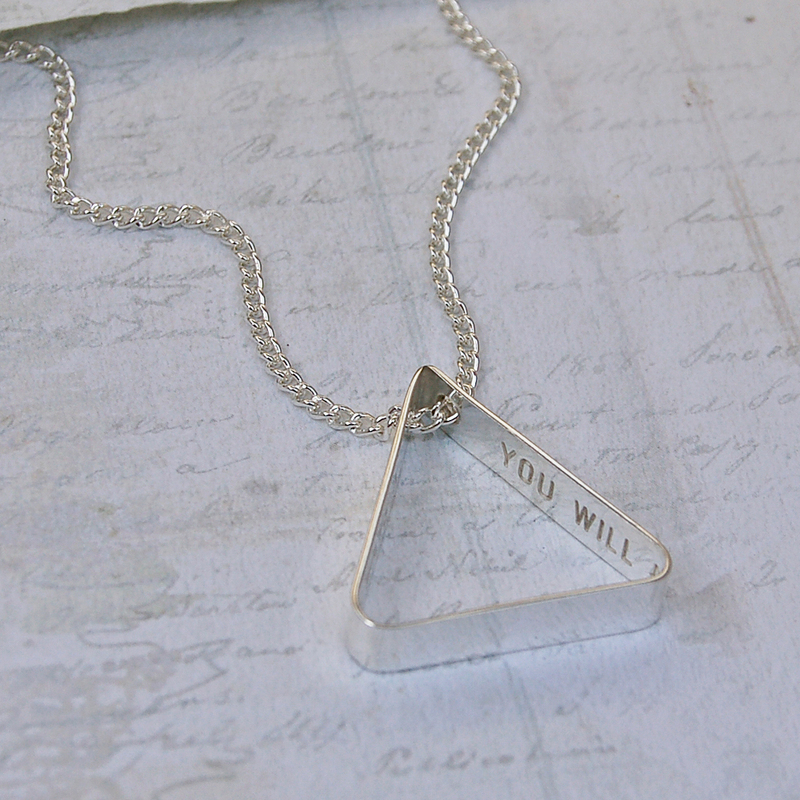 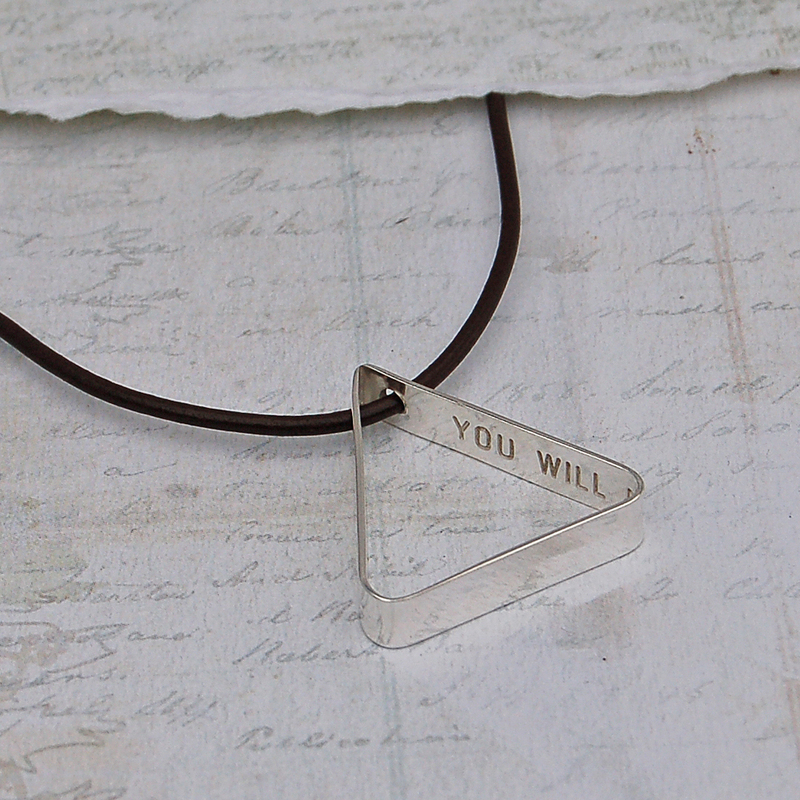 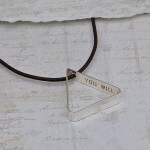 Your own personal message will be etched deep into sterling silver sheet which is then formed into an on trend triangle shape with the message on the inside so that it is secret to the wearer. 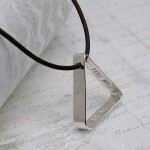 A unique and original gift for Father’s that could be etched with the names or birth details of their children, for husbands or partners with messages of love that they can carry with them or for Dads or friends celebrating a special milestone birthday. Your message could be a message of love, an extract from a poem, a meaningful song title, your names and date of wedding, a special anniversary message or even children’s names and dates of birth. 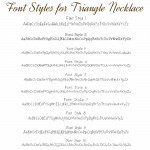 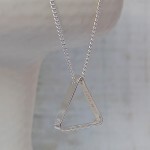 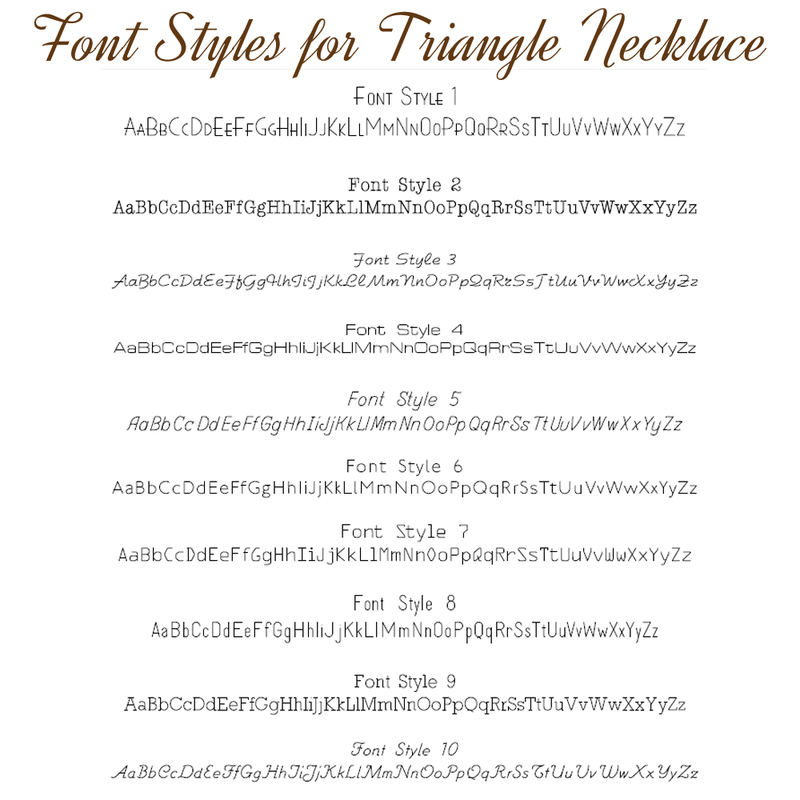 The triangle necklace can accommodate up to 38 characters (including spaces) and is available on either Greek leather cord or a sterling silver chain. 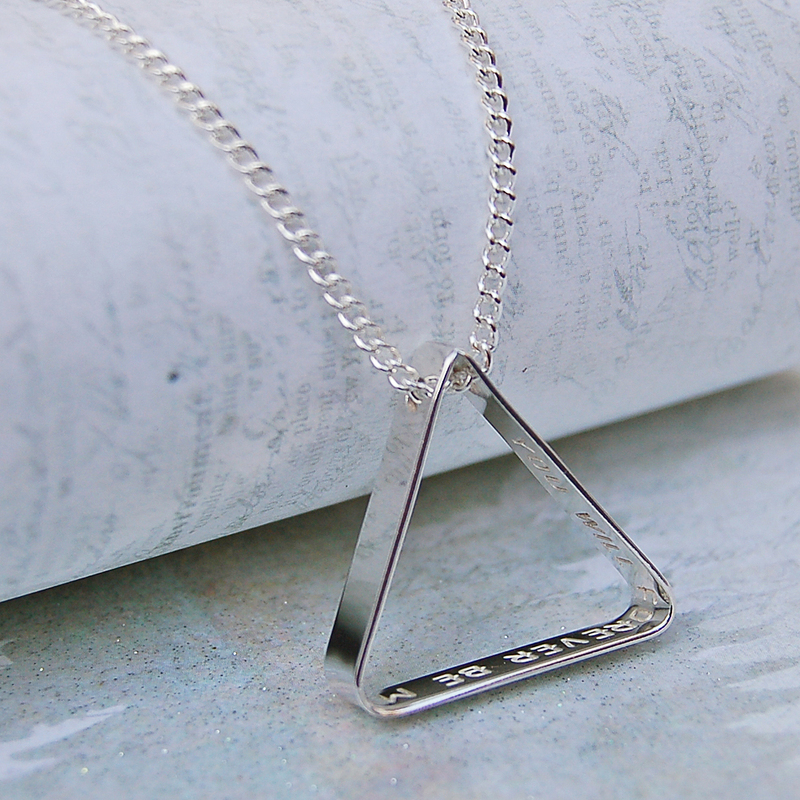 This personalised silver secret message triangle necklace will be handmade especially for you in the UK and will be beautifully wrapped in tissue paper and packaged in an IndiviJewels gift bag. 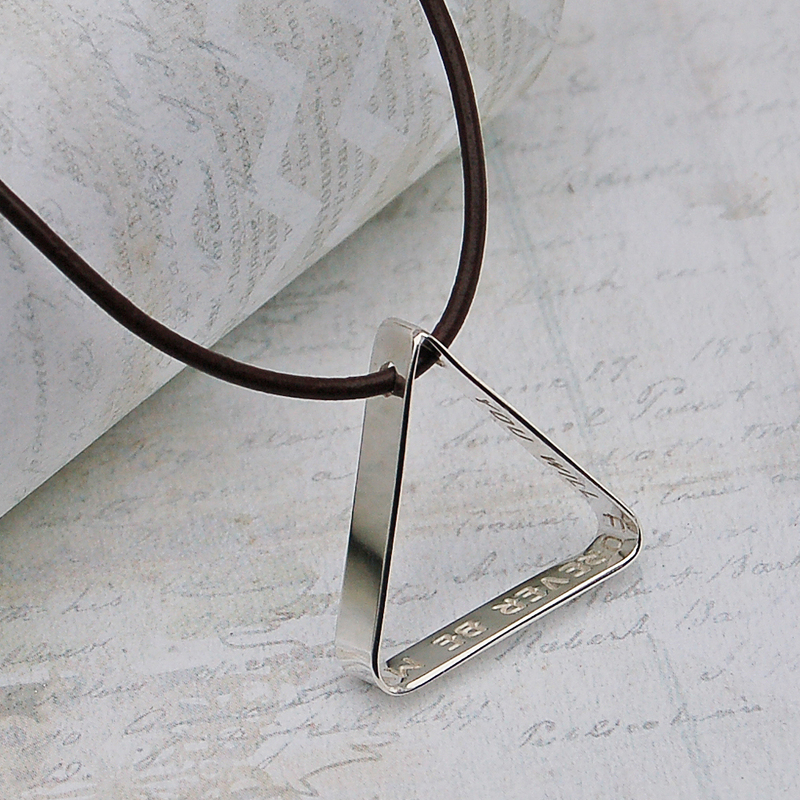 The triangle pendant and the fastenings are sterling silver and you have the choice of it hanging from Greek leather cord or a sterling silver chain. 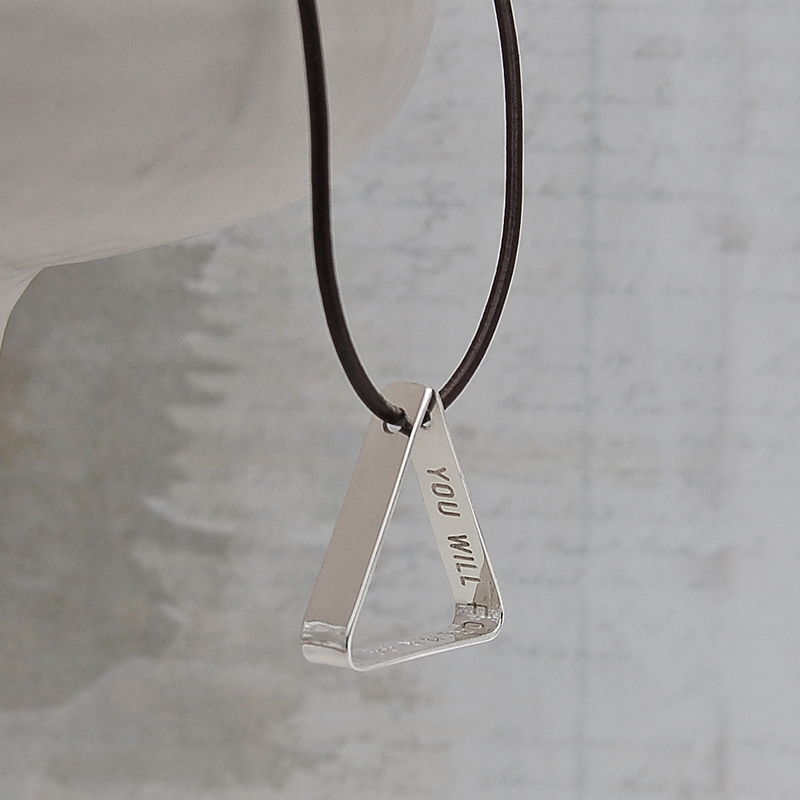 The pendant measures approximately 2.5cm from top to bottom and across the widest point. 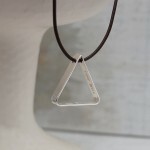 The cord/chain is available in a range of different lengths to suit all individuals.